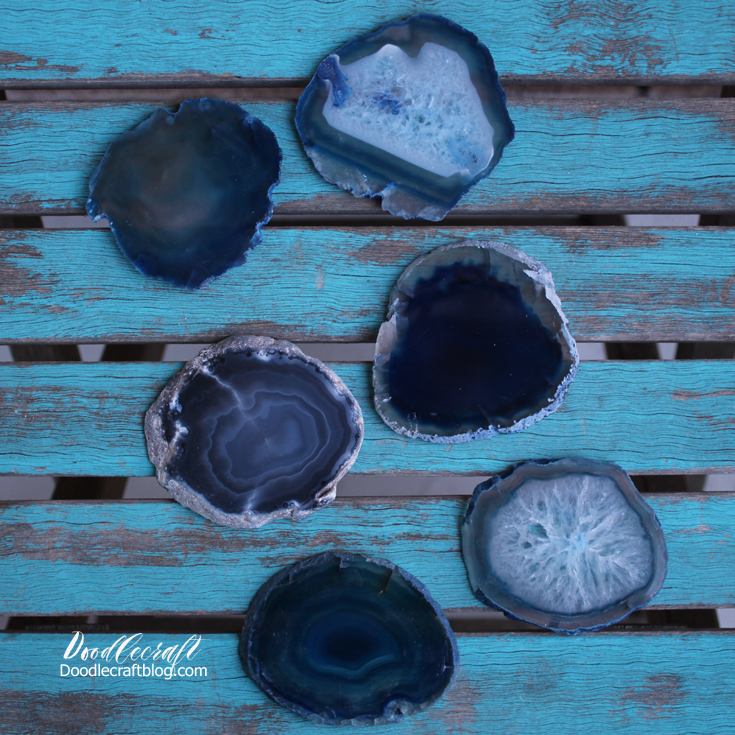 Doodlecraft: Gold Leaf Agate Slice Coasters! Gold Leaf Agate Slice Coasters! are perfect for art pieces, name settings or coasters! Agate slices are beautiful on their own, but I love them with the bright gold edges! Just use the paintbrush and paint carefully around the edges. Then set them down on paper to dry. Once dry they are the perfect canvas! Great for some Calligraphy or lettering! Works great for a place name setting too! And scriptures are always fun for me to write! And I love this line from Zootopia! "It's called a hustle, sweetheart!" Great for coasters for fun glasses of water! Looks great on a table too!